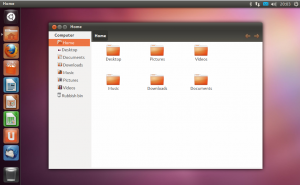 As accordance with Ubuntu’s release schedule, the latest version of Ubuntu, named 11.10 Oneiric Ocelot has been officially released few minutes ago!. This version, just as with the now previous 11.10, no I mean the 11.04 release 😉 is much anticipated by the users for few reasons. It’s much faster than the 11.04, have added numerous features to the Unity desktop, comes with the Kernel 3.0 for the first time (including better support for never GPU such as AMD Fusion, etc), latest versions of major applications (Firefox 7.0, Thunderbird 6.0, etc) and as most knows, the “legendary” Synaptic package manager is removed from the official ISO disc image thus has a renewed Ubuntu Software Center instead. Right now the Ubuntu downloading servers looks magnificently fast but when the US and other major “bandwidth-users” wake up and start flooding the Ubuntu site and if you find that the default servers are painfully slow, then as always, I suggest you try the torrents instead (links at the end of the post). Interestingly, when you click on the “Take the Tour” link, it takes to a basic Ubuntu OS preview!. Although at first I thought it’s some sort of a cleaver graphics effect (since you could launch applications from the app launcher, etc). 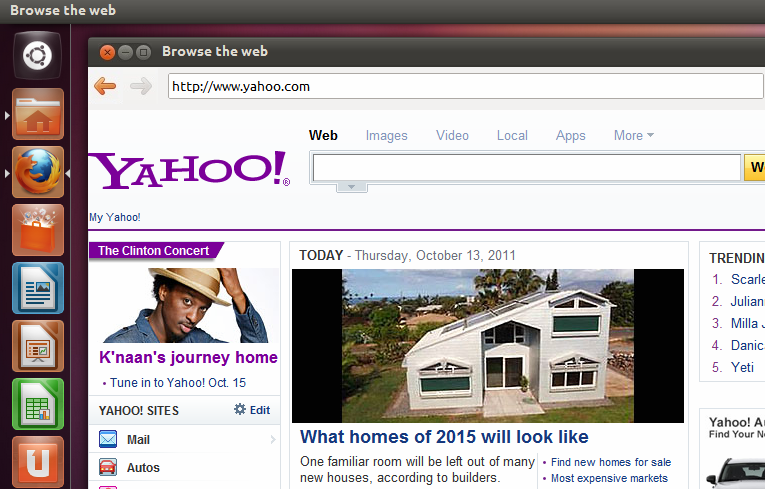 But then I launched Firefox in that window and typed “Yahoo!” in the URL field and guess what?, it actually loaded Yahoo! for real. So I think (still not sure) it’s a basic Cloud-OS demo (right click or some other menus don’t work) and I can confirm one thing though. The application menu is not enabled in LibreOffice!. Anyhow, if interested (interested!, what are you talking about Gayan! 🙂 ) you can get it from this Ubuntu download page but as mentioned above, if you feel like the servers are killing your, then you can try this official Torrents page instead. Oh I almost forgot, you’ll also wanna know how to install those naughty codecs now don’t ya ? ;-). Enjoy. I used the 11.10 Beta 2 and now I want upgrade to full.. I try update-manager -d, but there are no updates.. I'm afraid that according to this official Ubuntu Wiki page, we cannot upgrade from beta versions to the official 11.10 (or in general terms as well) :/. So your best option is to back-up the data and remove the current version (formatting the partition: beware though that if you have windows installed, then make sure to re-store the Windows boot-loader files first) and do a fresh installation since the downgrade is a bit of a painful process according to this official page. Sorry about all the bad news friend.